This year’s Japan Expo was held from July 5 to 9. 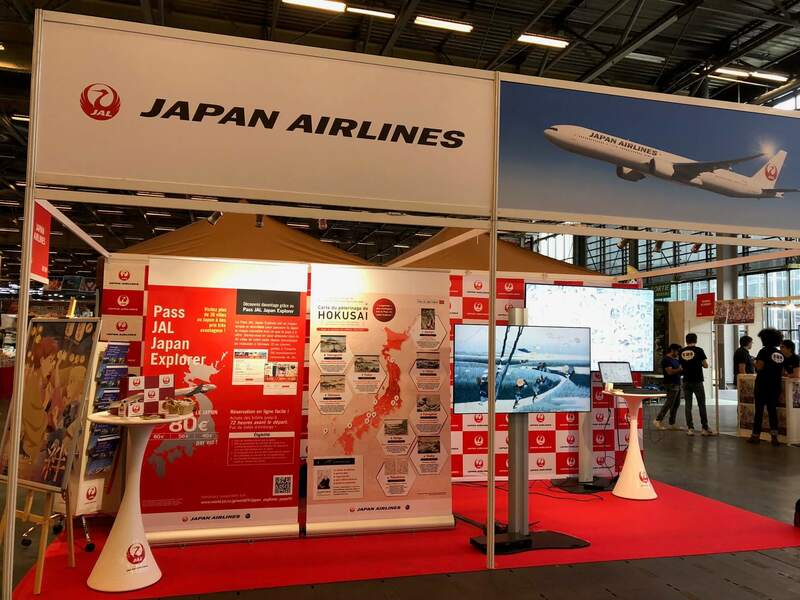 It was MOSHI MOSHI NIPPON’s 5th time attending the event, which hails as Europe’s biggest celebration of Japanese culture. Having experienced the event five times, we noticed that less people were dressed up in cosplay this year. There was less of an otaku scene and an increase in families and older people. This seems to be less that the number of otaku has decreased and more that the number of people in the general public has risen. This is supported by the fact that the anime and manga areas were as popular as ever, but other areas like the food, travel and traditional culture booths were also bustling. 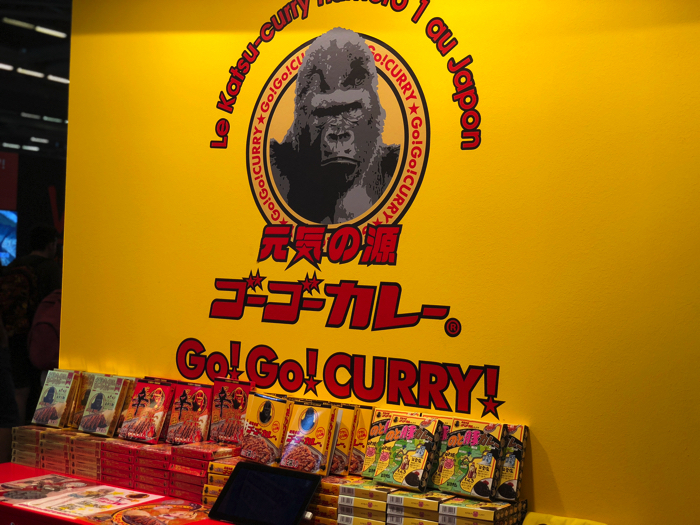 Japan’s popular curry chain appeared at Japan Expo for the very first time. Japanese-style curry is currently on a steady rise in popularity in France. The Go! Go! Curry samples that were handed out too were immensely popular! 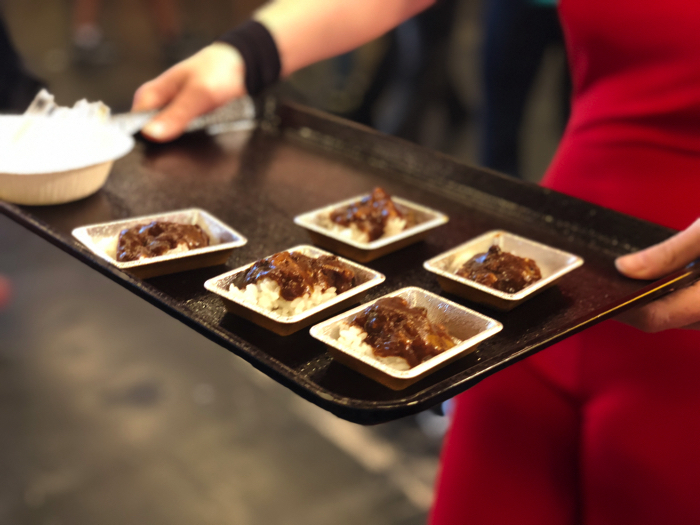 Many people enjoyed the bite that the spice gives, and there were many people expressing their want for a Go! Go! Curry branch to open in France. The AEON booth had a variety of colourful ‘randoseru’ backpacks on display. 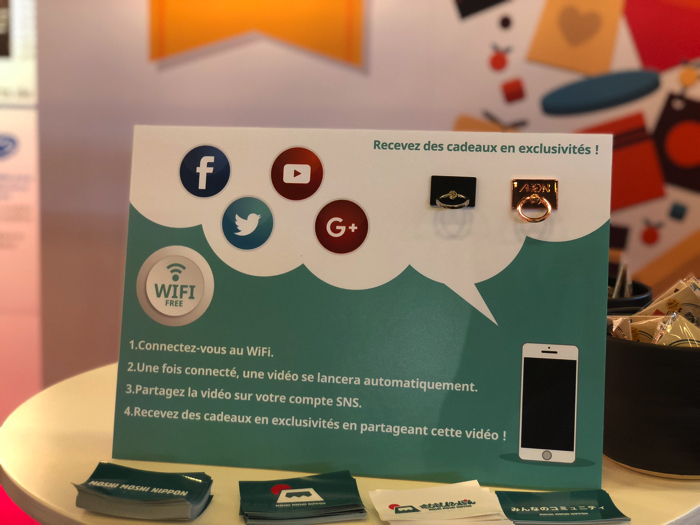 They also handed out keyrings to people and held workshops. 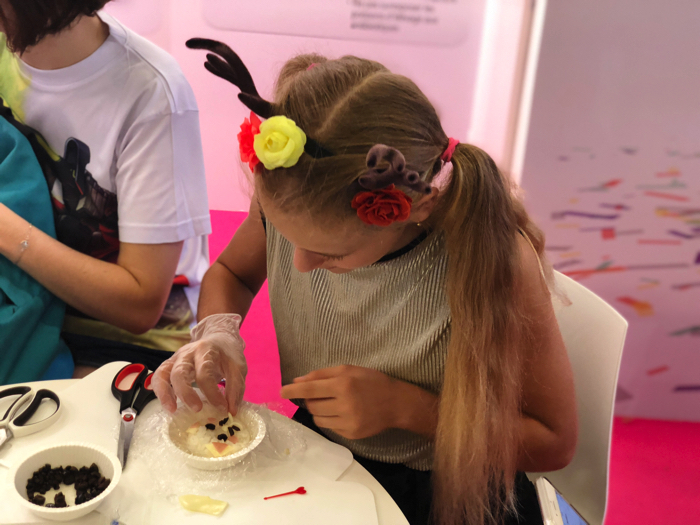 The workshop where people used AEON products to make their very own kawaii rice balls was a huge success. Every time it was held the booth was packed with people who had reserved a place. There were a lot of people surprised to know that all of the ingredients were products of AEON. We’re also showcased onigiri recipes in our articles so be sure to check them out and try making them at home! 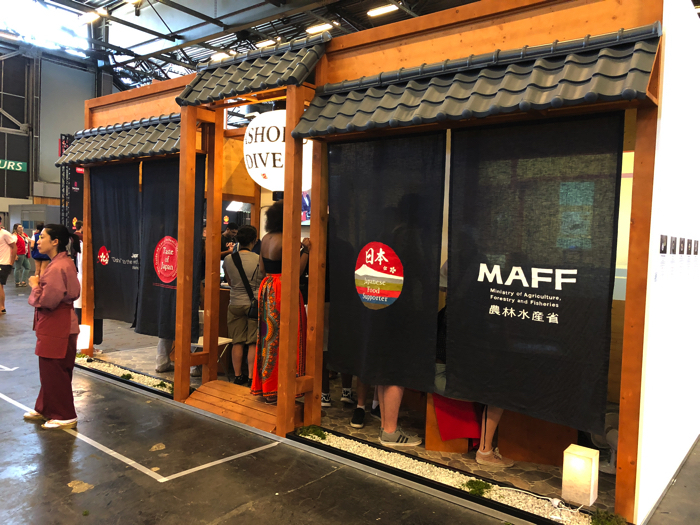 The MAFF booth had their own VR set up where people could experience Japanese kaiseki ryori, dishes served before a tea ceremony. People could choose what they wanted to try eating from the course menu and it appear before them. It made a lot of people want to start eating Japanese food. 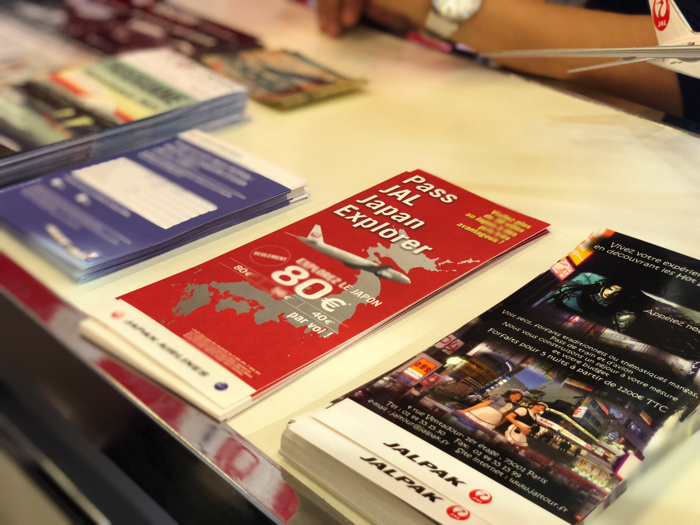 The JAL booth had pamphlets packed with useful information for travelling to Japan. They offer several services for foreigners travelling around Japan by plane that includes bargain tickets priced at ¥5,400, ¥7,560 and ¥10,800. If you’re planning to go to Japan and are going to a lot of different places, you should definitely check it out. 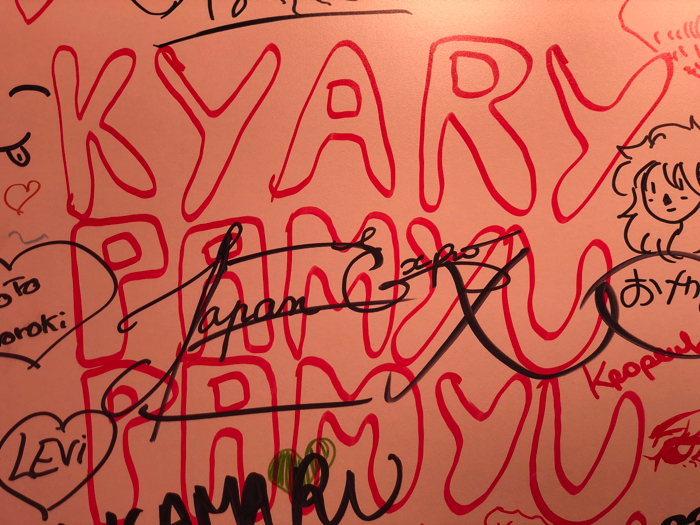 You couldn’t miss the Tokyotokyo booth, it was huge. They were showing the video below on a monitor. The video shows traditions from Japan that have been passed down for generations, as well as contemporary pop culture which continues to bring out new things. There was something in there for everyone who had attended Japan Expo. There was a bunch of other booths too for all locations in Japan, as well as regional pamphlets, displays of famous regional goods, and mascot characters who had come from Japan to promote local regions. 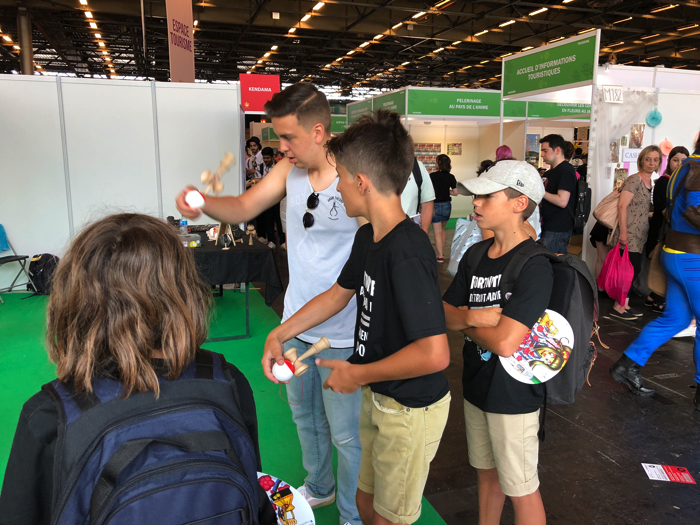 Everybody was trying out the kendama at this booth. There were kids there in full force practicing. 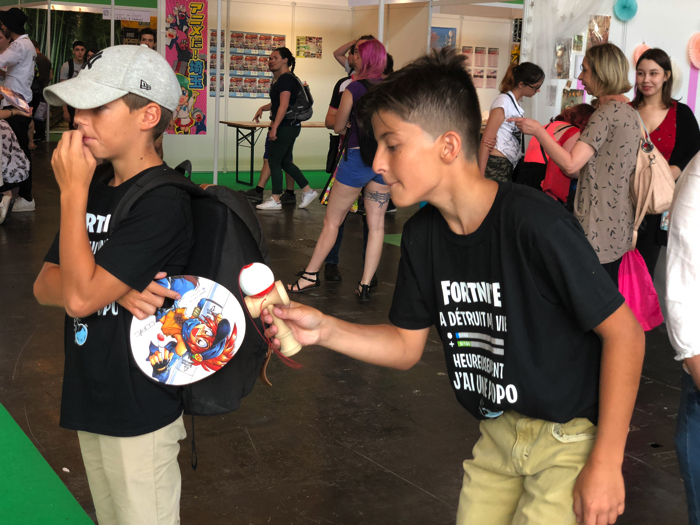 Kendama can be seen in street acts in countries around the world. It’s become something of a cool skill to be able to do. There was also an area where people could play games like shogi, karuta and go. How were there so many people skilled in each of these? They were playing seriously so we weren’t able to ask them this time around, but we’d like to interview people next time. The line at the Nintendo booth was monstrous because they had games for people to play. There was a particularly long line of people waiting to try out the new Super Smash Bros. game. We actually got to play the game ourselves. Be sure to check out our review here. Finally, our booth! 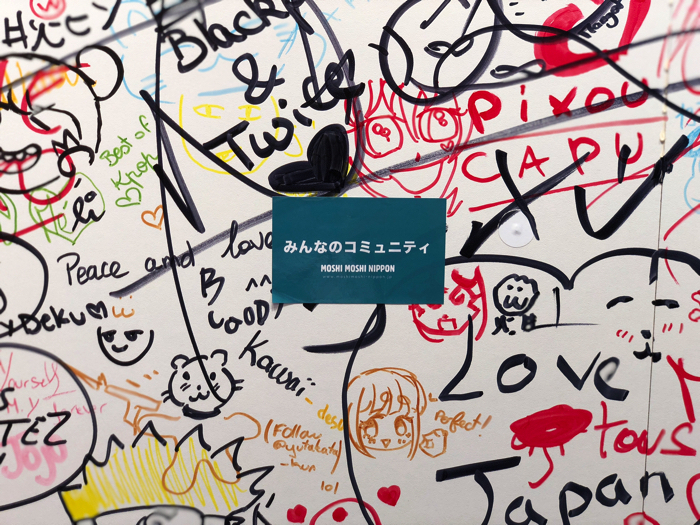 The many people who got involved at our booth came and scribbled on our wall. 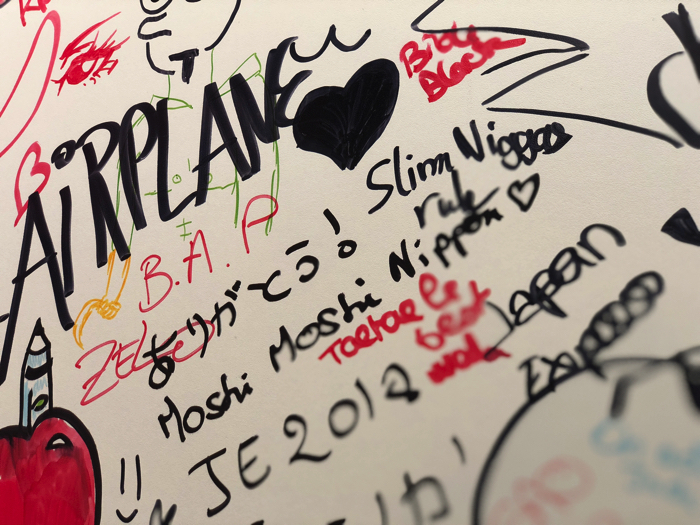 The topic was to write their thoughts and memories about Japan Expo, but they wrote lots of other things too. We also held a questionnaire at the booth where we asked people about their favourite things and what they’re interested in. We got to meet lots of lovely people at Japan Expo again this year. 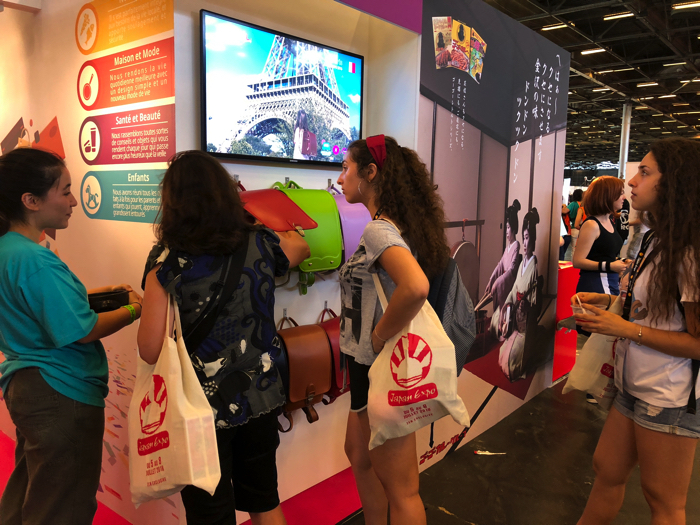 Until now we’ve often perceived Japan Expo as an event where anime lovers gather, but this year we’ve seen it’s really a community of people who like Japan. Otaku are included in this number, but so are followers of kawaii culture, listeners of Japanese music, foodies of Japanese cuisine – all types. We want to continue delivering the latest news on Japan and Japanese culture to these people – these people who so love the culture of Japan, a country so far away. We’d like to thank everybody from the bottom of our hearts for coming to see us at our booth and for reading our articles. 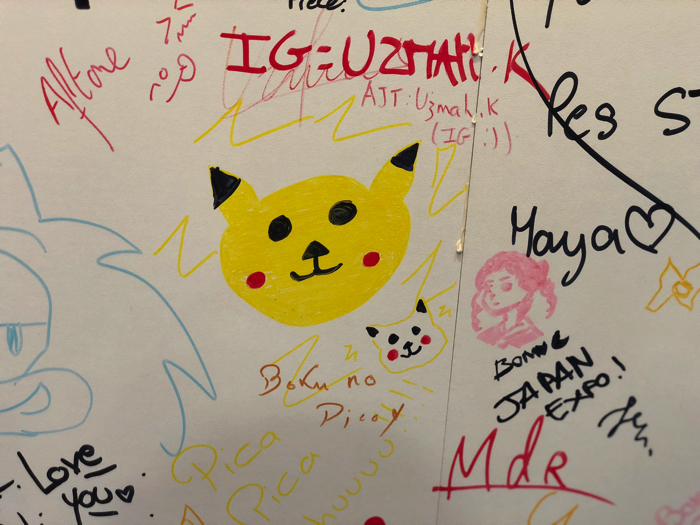 JAPAN EXPO in Paris is over—next stop, HYPER JAPAN in London! 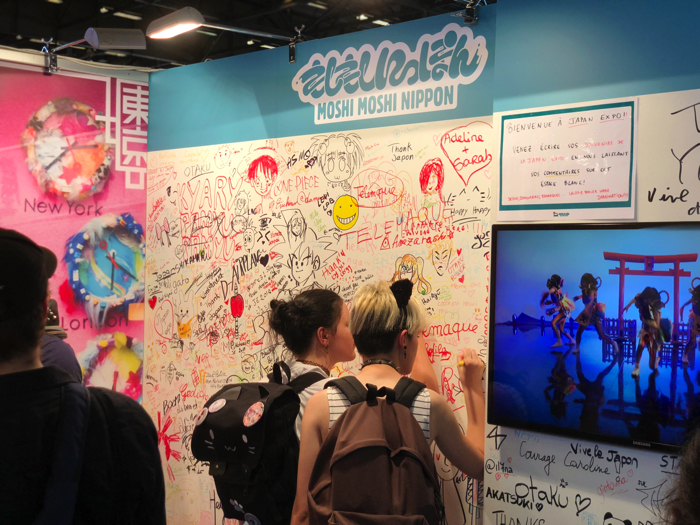 Japan Expo Day 2—Introducing: The MOSHI MOSHI NIPPON Area! EVANGELION, Pokémon, Yowamushi Pedal and much more at JAPAN EXPO Paris 2017! Find out more about the events lineup right here!